Two weeks ago, my husband and I attended the New England Reptile Expo in Manchester, NH. This was my third or fourth time attending and it is an event that I look forward to very much. AND, due to its success, the layout is now much larger than the first time that I went PLUS it happens more than only twice a year! I highly recommend checking it out if you have any interest, at all, in reptiles. I won’t lie. Before meeting my husband, I wasn’t crazy about reptiles. They didn’t bother me; I never felt actively adverse to them, but they weren’t creatures that I sought out to love and squeal over. My appreciation for them has truly blossomed over the past few years and it is all thanks to him. And while I like looking at snakes and love the two that we share a home with, it is the lizards that really delight me. We have a Leopard Gecko, Persephone, that we spotted a few years ago. She stuck out as a truly unique, adorable, and, for lack of a better word, sassy little lady. We probably paid too little for her, but she was “my” first reptile and I counted myself blessed to snag her. After a few moves and having to adopt off a few snakes, though, I wasn’t in any rush to bulk up our caravan again, despite totally loving lizards. This all changed this year, though, when I actually got to hold a Crested Gecko. There was one table at the Expo for Kati’s Cresteds that I kept gravitating towards. My infatuation with Kati’s Cresteds began the previous year because I really loved her logo — what is cuter than a Crested Gecko rocketing into outer space? Not much. And while I was appreciative of the information that she shared, the fair prices, and the beautiful animals, I wasn’t completely ready to lay down the cash and to disregard my own “rule” of not adding any extra animals into our life before we got into our own house. 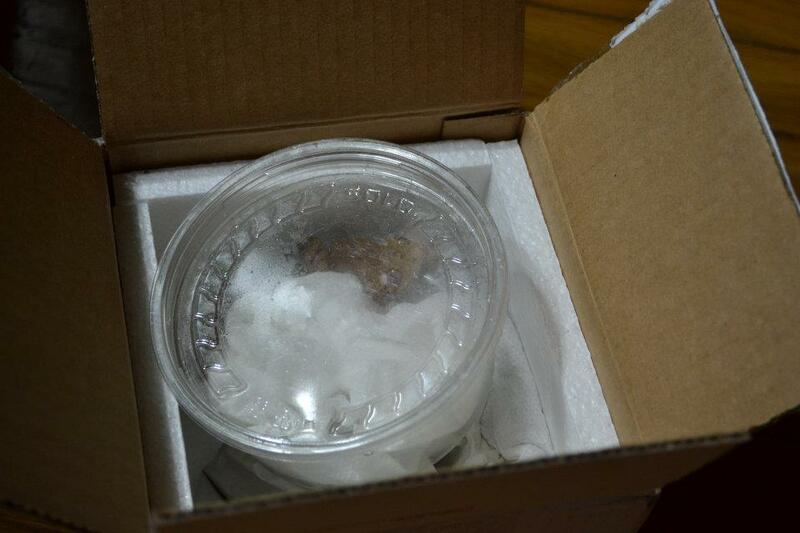 But, ah, the memory of holding the Crested Gecko stuck with me. Their skin is velvet-y to the touch (in my opinion) and their toes act like little suction cups, holding onto the surface they’re standing upon. So, with this memory fresh in my mind, I began researching Cresteds online. About three days later, my husband sent me over to Crown Jewel Reptiles to check out the Cresteds for sale. I liked what I was seeing and debated, for close to a week, which one would be the best for us. I corresponded with the woman who runs Crown Jewel Reptiles for advice and her input. I knew, above all else, that I wanted a sweet guy who would like to be held. Eventually, she recommended one and we sent over payment. 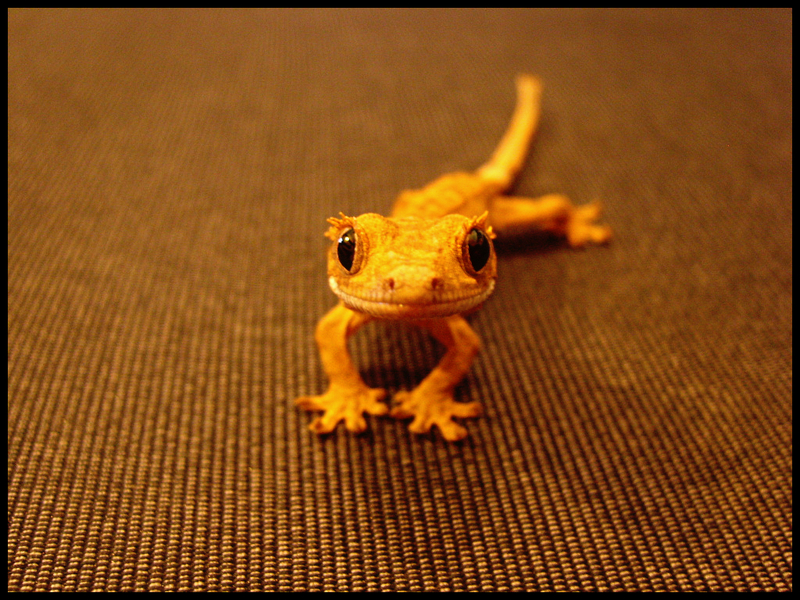 Crested Geckos were believed to be extinct. These little critters were rediscovered in 1994 on the island of New Caledonia, which is off the east coast of Australia. Their scientific name is Rhacodactylus ciliatus. 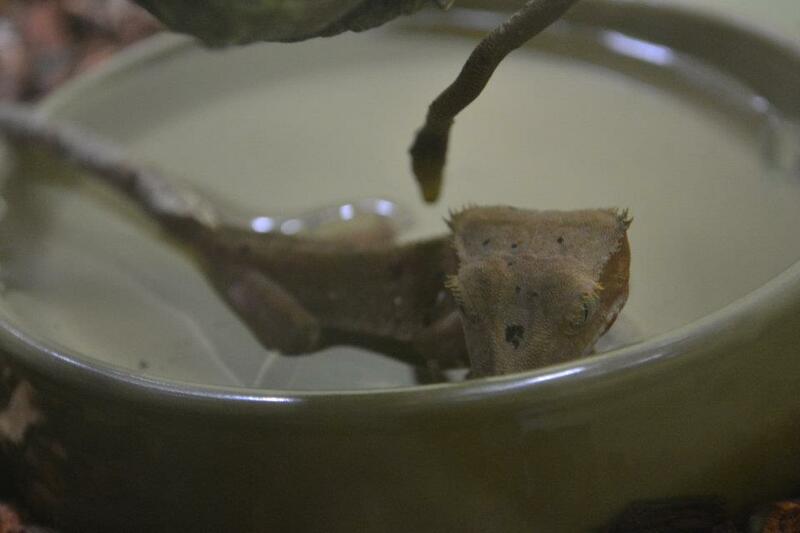 Rhacodactylus is of Greek origin and means “spine toes”. Ciliatus means “fringe” or “eyelash”. They have prehensile tails. That means that they can do stuff with it. Adorable. If stressed, they will drop their tail. Their tail will not grow back like other lizards, however. They can live 15-20 years! 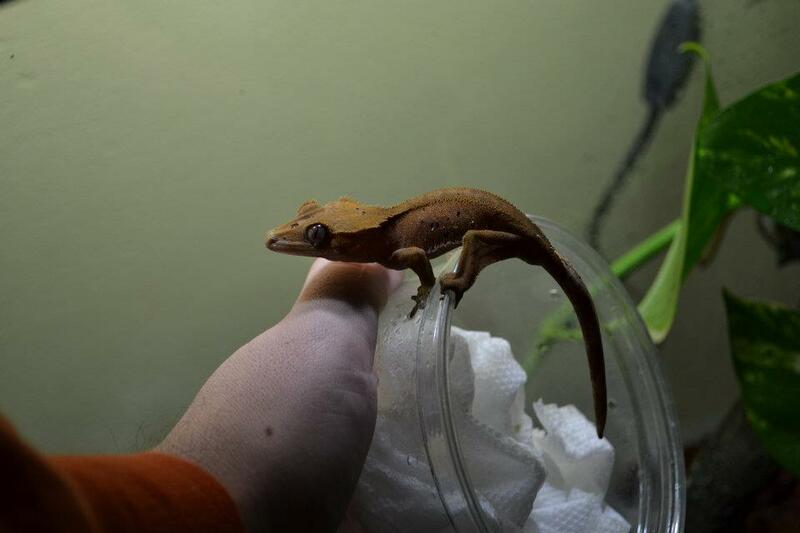 So, in short, Crested Geckos are amazing. If you don’t believe me, then I highly suggest that you go to a local reptile expo and meet one for yourself. You’re bound to fall in love. Immediately.